How did you end up in the Insurance career you have today? Had you always dreamed of it? Did you walk around your house as a toddler asking people to sign up with you for their Homeowners Insurance policies? Just follow your passion, right? It’s an old mantra that you’ve heard everywhere from high school teachers to career seminars. A friend of mine wrote a tweet a couple years back that made me think about this. 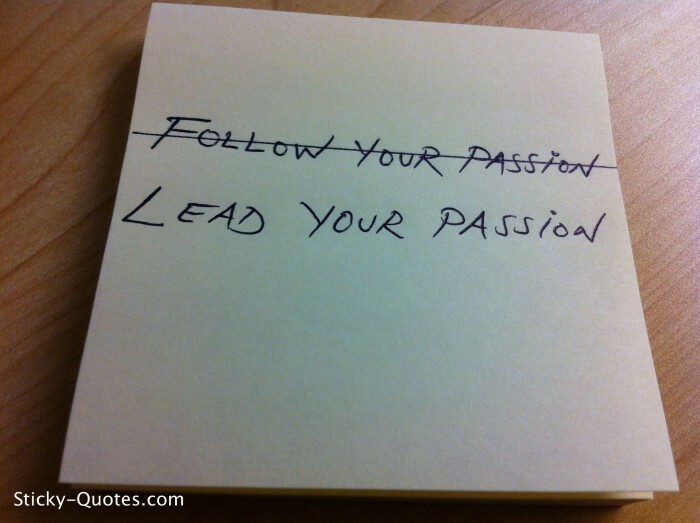 He wrote: “Don’t follow your passion. Take your passion with you.” I realized immediately that he was onto something that we don’t normally like to talk about in such “motivational” settings. If you poll a thousand people who are successful, they’ll all say that they love what they do. And so the broad conclusion of the world is that if you do what you love, then you’ll be successful. That might be true. But it also might be the case that if you’re successful, you love what you do. So which one is it? Passions are hard to prioritize. Are you more passionate about math or engineering? Are you more passionate about history or literature? Are you more passionate about video games or K-Pop? On the other hand, what are you good at? That’s a much easier thing to figure out. Passions change. What you’re passionate about at 21 is not necessarily what you’re going to be passionate about at 40. You’re not necessarily good at your passion. Has anybody ever watched American Idol? Just because you love singing doesn’t mean you should be a professional singer. Following your passion is a very me-centered view of the world. What you take out of the world over time, be it money, cars, stuff, accolades, is much less important than what you put into the world. And so my recommendation would be, follow your contribution; find the thing that you’re great at. Put that into the world. Contribute to others. Help the world be better. That is the thing to follow. 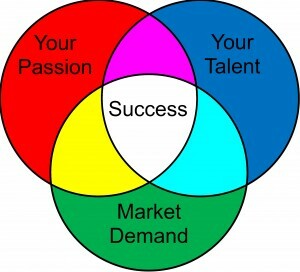 The classic Venn diagram for business success helps you identify what business idea fulfills three key factors: what you love (passion), what you’re good at (talent), and what there is a market for (purpose). If you’ve been in business for any length of time, you know that following passion is only one third of that equation and that passion alone will not sustain you. Passion can’t and shouldn’t override the other factors like where your talent lies and what the world needs. You’ve probably heard the saying, “If you love what you do, you’ll never work a day in your life.” This is the thing, though: loving what you do isn’t just about passion. It’s also about knowing that you’re providing something that people need, and that you know how to do it. In the insurance Industry, you are in a perfect position to fulfill all three aspects of that equation. Maybe you’re passionate about people. Maybe you really are passionate about workers comp forms. Maybe you’re passionate about being meticulous in your coverage to make sure people get the insurance coverage they actually need. Maybe you’re passionate about teaching people and that comes out as you educate both your customers on Insurance policies and new hires on how to do the job well. Don’t follow your passion. Follow your contribution. Take your passion with you.